Known as “Hip-Hop’s First Lady,” Queen Latifah is an acclaimed entertainer in music, film and television. She has received a Grammy, a Golden Globe and two Screen Actors Guild (SAG) Awards. Born Dana Elaine Owens in Newark, New Jersey, she was raised in the Baptist faith and attended Catholic school. At age 8, a Muslim cousin gave her the nickname Latifah, an Arabic word meaning “delicate and sensitive.” In high school, Latifah was a star basketball player and with friends formed a rap group called Ladies Fresh. Her acting career launched on television in the 1990s with a starring role on the sitcom “Living Single.” She then appeared in a series of successful films, including “Set it Off” (1996), “Living Out Loud (1998) and “The Bone Collector” (1999). Her breakout role came in the Oscar-winning film version of the musical “Chicago” (2002), playing the part of Matron “Mama” Morton. For her performance, Latifah received a SAG Award for Best Supporting Actress and was nominated for an Academy Award, making her the first female hip-hop artist to receive an Oscar nod. 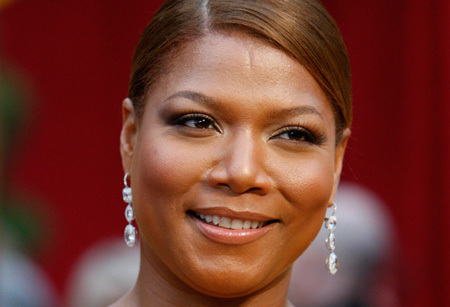 Latifah’s subsequent film appearances include the box office hits “Bringing Down the House” (2003) and “Hairspray” (2006). For her portrayal of an HIV-positive woman in the HBO film “Life Support” (2007), she won a Golden Globe and her second SAG Award. Queen Latifah received a star on the Hollywood Walk of Fame. A new syndicated talk show, “The Queen Latifah Show,” premiered in September 2013.